Retirement Daze: The wages of neglect . . . compliments? The wages of neglect . . . compliments? Along with several neglected flowerbeds, some flowerpots that formerly held thriving begonias also languish neglected by the pathway to our backdoor. I confess, I have just kept putting off replanting them. Now they are filled with plants that I think are Oxalis, what I grew up calling sorrel. Here in our area they take over even fairly regularly maintained beds, which mine definitely are not. A recent visitor, a non-gardening elder who passed by the collection of flowerpots, paused to take a closer look at the tiny blooms. “Your flowers are so pretty!” she said. 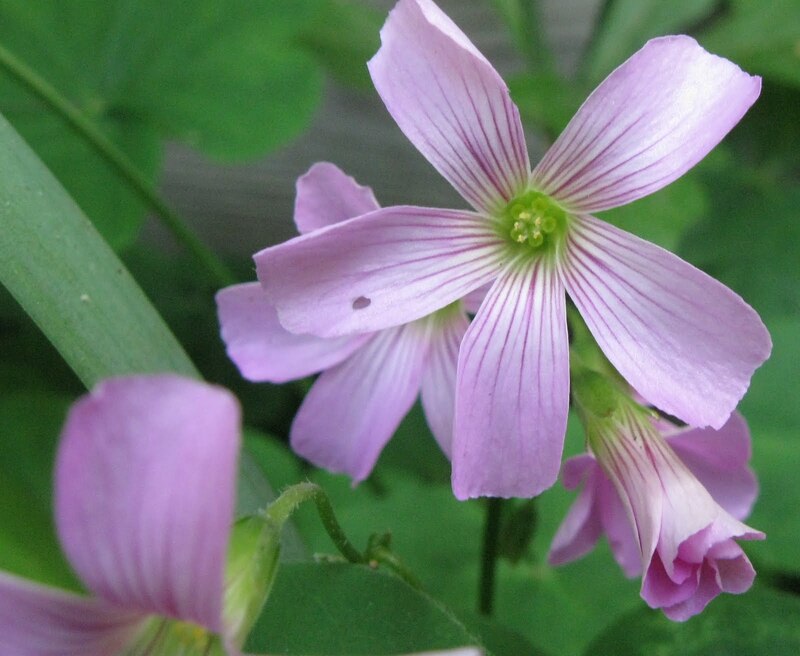 Points of view differ on whether the delicate beauty of the blooms is evidence of an aggravating weed or a wildflower. But talk about a low-maintenance perennial! As we walked our departing elder to her vehicle, I accepted the compliment with a “Thank you” and a smile, basking in the surprising rewards of procrastination and neglect. Beautiful!!! We have wood sorrell, and it looks like this. Maybe it is a wild version? You definitely caught my interest with the phrase-"low maintenance perennial". That and pretty too. Win/win. The flowers look beautiful whether they are in their supposed position or not...... I'm for enjoying what turns up. Colonoscopy . . . oh joy!